In Theory is a new feature in which I make up theoretical projects and try to develop them. Not just anybody can star in a Wes Anderson joint. Wes Anderson is perhaps best known for the incredibly detailed worlds that he designs. He is like a science fiction artist who is more interested in people than outer space. His characters are just as intricate and unique as the houses, ships, trains, and hotels that he puts them in. Throughout his career, Anderson has assembled some of the best ensembles ever seen on film. Without Wes Anderson, we would never have been able to see Jason Schwartzman try and kill Bill Murray with a tree. 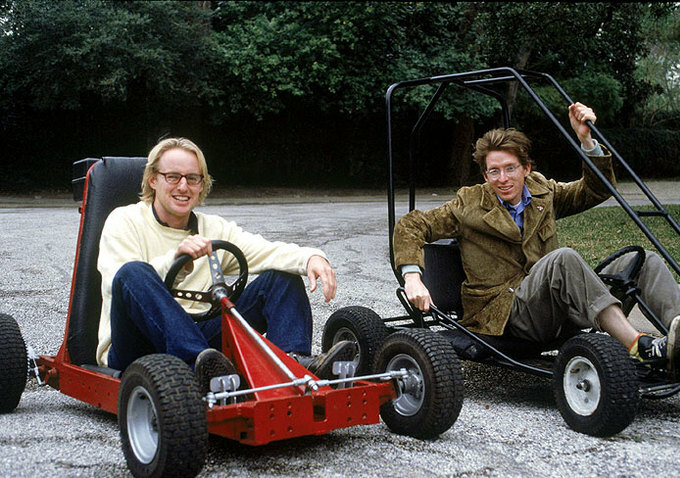 Wes Anderson is good with actors, and actors are even better when they star in one of his films. There are certain people who you see, and they just look like they belong in a Wes Anderson film. It might be because of their public personas, their looks, or their general attitudes. Being a Wes Anderson actor requires you to be as goofy as a cartoon, but then have the ability to get serious at a moment’s notice. F. Murray Abraham was in The Grand Budapest Hotel. 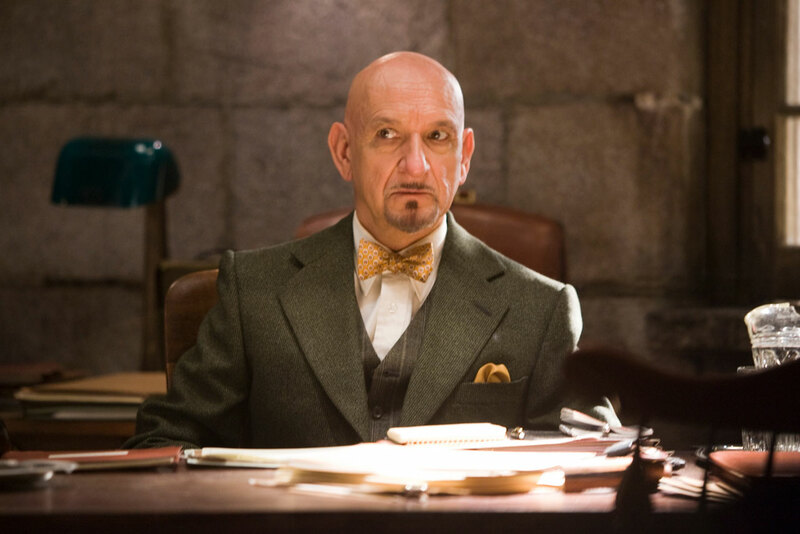 Ben Kingsley is the British version of F. Murray Abraham (explaining it would require time, blackboards, and flowcharts). By that transitive property, that means that Ben Kingsley would be a great fit in the Anderson universe. 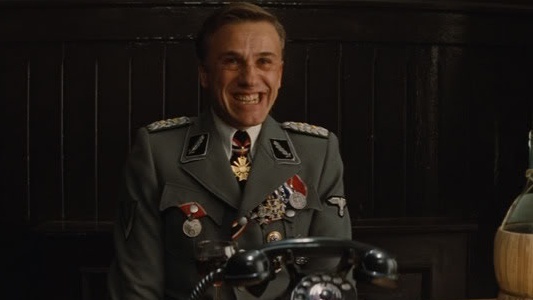 Christoph Waltz has repeatedly demonstrated that he is good at playing both funny and serious, often all at once in just one scene. Based on his ability to speak many languages, laugh like an idiot, and dress as Jesus, the guy clearly is willing to do anything. Waltz, the incredible, multi-lingual actor, would have been perfect in The Grand Budapest Hotel. Unfortunately, he was not part of the huge cast, but I am sure Anderson could write a great role for him. Besides the fact that he is a French man who can dance and make sleazy deals with Benihana, there is just something about Jean Dujardin’s face that would lend itself so well to Wes Anderson. Maybe it’s the smile. Or maybe it’s the mustache. It’s probably the mustache. After his fake public meltdown, Joaquin Phoenix has had an incredible career renaissance which has maybe been overshadowed in the media by the McConaissance. From The Master to Her, Phoenix has showed that he can play weirdos both frightening and delightful. And as is the case with Dujardin, Phoenix would be a perfect fit for Anderson’s ever expanding mustache collection. Wes Anderson has a knack for making serious actors actors go seriously goofy, yet still be at the top of their game. In the past, he has cast Bruce Willis as a lonely, sensitive cop and Ralph Fiennes as a man who likes to sleep with old ladies. Wahlberg has been in everything from Lone Survivor to Ted, so he definitely has range. He would be great as either the distant father, or the way too strict, way too tough authority figure. She is a fairly close older doppleganger of Kara Hayward (a.k.a. Suzy in Moonrise Kingdom). Despite not having a mustache, she is just one of those people who has a face that would fit in with all of Wes Anderson’s other characters. It is hard to explain. Plus, her insane cameo in This Is the End leads me to believe that she is just as good at dropping the f-bomb as Ralph Fiennes. British people make cursing sound so much more eloquent. Greta Gerwig is a frequent collaborator with Noah Baumbach, who is a frequent collaborator with Wes Anderson. This at least seems realistic. In Frances Ha, she basically played a Wes Anderson who had to learn that paying your mortgage is more important than escaping to a made up island. Gerwig would be a perfect fit in the Wes Anderson universe. Hopefully, Anderson can cast her in one more role before her life becomes How I Met Your Dad. From Royal Tenenbaum to Steve Zissou, Anderson loves him some older folks with attitude. However, The Grand Budapest Hotel saw him commiting an act of Old Face (about as bad as Black Face or Jew Face, according to nobody) by casting Tilda Swinton as a woman in her eighties. It would seem kind of wrong if we never got to see the Dame “takin’ it out and choppin’ it up,” as Royal Tenenbaum would say. She would be great as a female version and soulmate of Dudley in a spin-off of The Royal Tenenbaums. Kristen Wiig is great, but what I am really trying to say is that we really need a movie about Dudley. Okay, let’s just cast everybody from Her in Wes Anderson’s next film. Johansson is always so lively in every performance, even if she is just playing a voice in a computer. It would be interesting to see her play a moody against type like Margot Tenenbaum. Agree? Disagree? Agree to disagree? Who else would you add to this list? This entry was posted in Uncategorized and tagged Actors, The Grand Budapest Hotel, Wes Anderson on March 18, 2014 by ian0592.